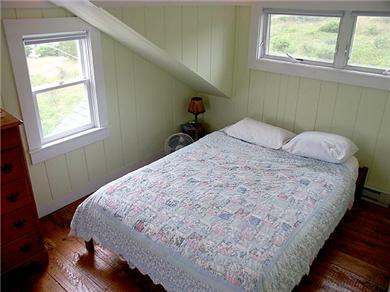 Newly renovated, charming cottage in North Truro. 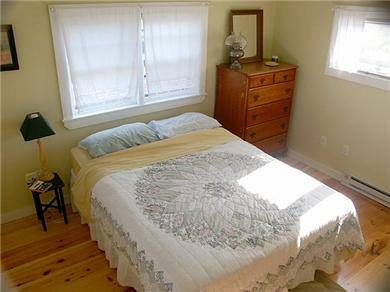 Set back from the road in a private setting, this newly restored sunny cottage offers 2 bedrooms, 1.5 baths. French doors open the living/dining area onto a large deck in the back, bringing the outdoors inside. Sip your morning coffee overlooking meadow, trees, and songbirds. Or laze on the hammock while grilling dinner at sunset. 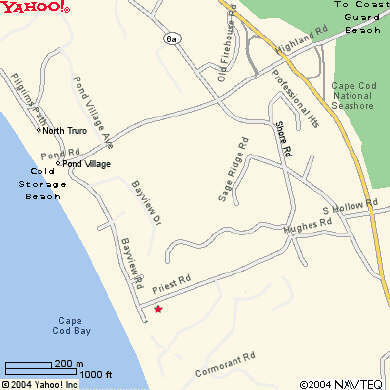 3 minute drive to Bay (Cold Storage Beach) or a great 15-20 minute walk along Bayview Road. Amazing swimming, low tides and sunsets here! If you want an ocean visit, the outstanding Coast Guard Beach is a 5 minute drive (Highland Lighthouse - the oldest on the Cape –is a great quick nighttime excursion). We occasionally see whales spouting from the beach! 8 miles to Provincetown. Additional availability info: offseason rentals are flexible for length, start and checkout dates. This is a Saturday to Saturday vacation rental. Additional pricing info: $100 discount for two consecutive weeks off season; cleaning fee $150, State and local taxes of 12.45% will apply. 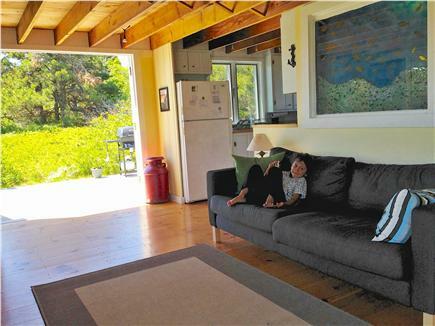 We're a family of 4 and have rented this simple, clean cottage with a 10-minute walk to beach 2 different times. Lovely and quiet. Just perfect for us... and for the third time!! What a pleasure it has been for us to discover, and then return twice to this cottage!!! Right away, we felt at home, with the open setup, the French doors staying constantly open, the neat yet functional kitchen, and the cozy upstairs bedroom!! With the blueberries in the back, the daily visits from the rabbits and the evening visits from Todd the toad, a constant breeze, and the abundance of birdsong from morning to evening, it is the perfect cottage to wake up in and to leave for the beach, simply to return and rest after a solid day of sun and surf at Head of the Meadow. We have returned twice (in 2013 and 2015) and have found the same welcoming, homey feeling within minutes of our arrival. And after the two weeks' stay, it has always been heartbreaking toi have to leave. We'll most certainly be back in 2016!!! This was a lovely cottage with so many great details. The location was private and up high enough that we had beautiful breezes the whole time. The deck was ample with a great outdoor shower and a hammock. 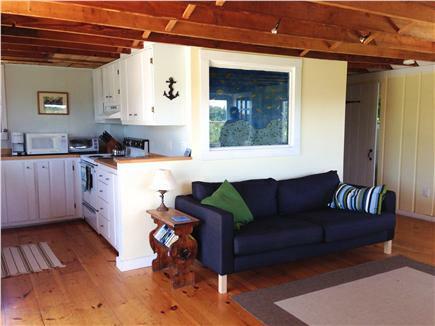 The living space was perfect for 2 couples, with plenty of space for private moments and comfortable shared space. Lovely touches throughout with artwork and built ins. 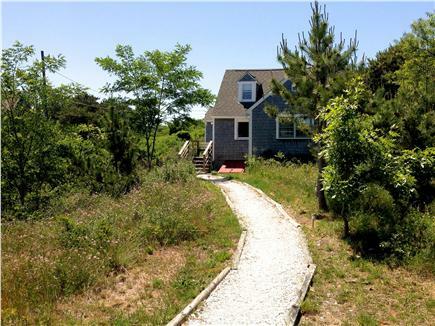 Excellent location with easy access to bay beaches and Provincetown.